Forty years ago, C.K. Kejriwal in collaboration with Agrob Anlagenbau GmbH (Agrob) Incorporated Orient Ceramics and Industries to manufacture glazed wall tiles with a factory in Uttar Pradesh. Overtime, the company has expanded capacities at its Uttar Pradesh plant and expanded its manufacturing base to Gujarat and Karnataka. 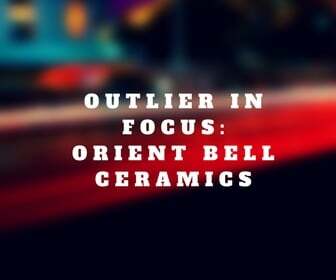 In 2012, the erstwhile company Orient Industries acquired Bell Ceramics in a stock swap. Post the acquisition, the company was renamed to Orient Bell Ceramic. 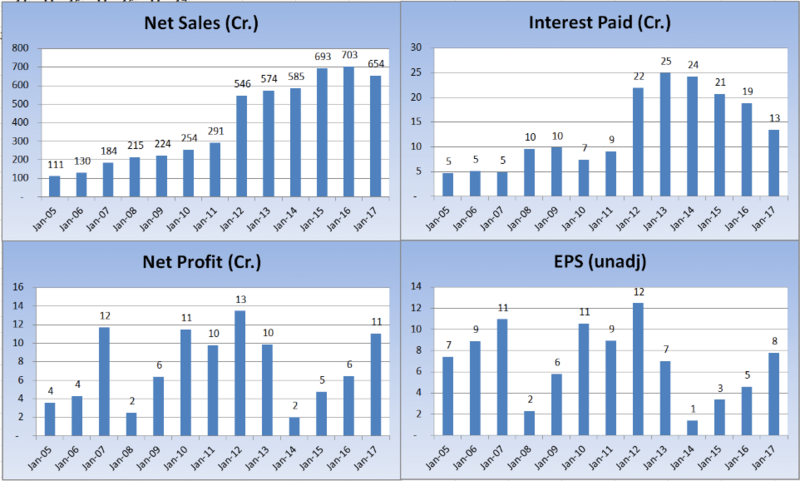 While the company has seen good traction in Net Sales, the same cannot be said about its ability to generate Profits. Net Profit hasn’t gone anywhere in the last few years with the Profits after Tax for 2017 being same as the one in 2010. A key reason for the decline has been the consistent rise in expenses which has reduced its Operating Profit Margins from a high of 13% in 2009 to 8% in the last financial year. Net Profit Margins are even worse seeing a decline to 0% from 5% before making it to 2% for the year ended March 2017. A positive feature has been the decline in debt with the Debt to Equity Ratio dropping from a high of 2.0 in 2008 to 0.8 currently. This fall in leverage provides a comforting factor as also allowing it to proceed with capital expenditures. In February, the company started production at its new plant set up with an initial annualized capacity of 4.6 msm of polished and glazed vitrified tiles. In addition, the company is expanding capacity through JV’s wherein Orient Bell will acquire a minority stake in the said company which can help it drive growth at a lower cost. 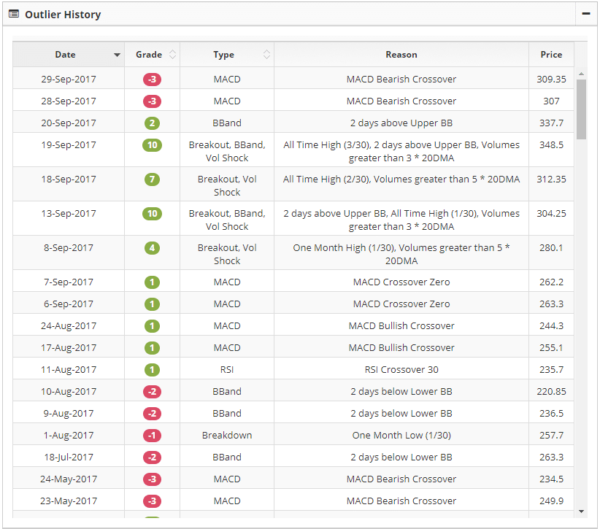 The stock currently trades at a PE of 29 times its last 4 quarter earnings which is on the expensive side given the lackluster growth. 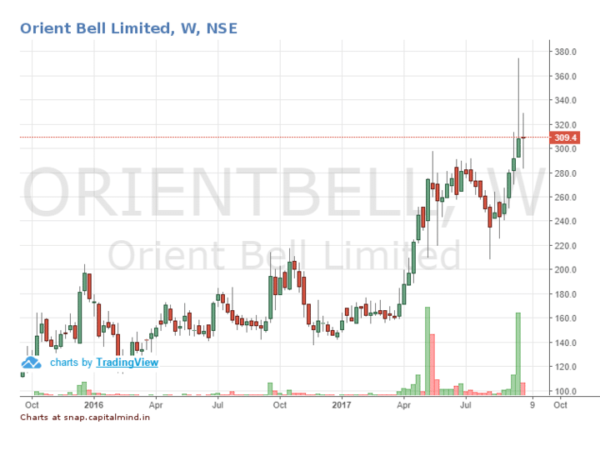 In 2012, when Bell Ceramics merged with Orient, the stake of Bell Ceramics held by Orient was transferred to Orient Bell Trust. This transfer ensures that post the merger; the stake already held by the company into which the merger is taking place doesn’t lose out. In May 2017, this stake was sold with the proceeds being proposed to be used to increase manufacturing capacity and building the brand. A negative if it could be seen as such is the absence of any marque investors holding the shares of the company – not even a single mutual fund house. The stock has been in a steady uptrend for a long time with multiple breakouts. The most recent breakout has been retested in the current weakness.